Suburbs of Hawley: Dale, Rollag. Hawley is also known as: Clay County / Hawley city. Their current mayor is Mayor Gary Johnson. Zip codes in the city: 56549. Some of the notable people born here have been: (gabriel hauge), (leon h. johnson), and (lucile blanch). Hawley is a town in Clay County, Minnesota, United States, along the Buffalo River. The population was 2,067 at the 2010 census. The town went through six quick name changes after 1871 until, in 1872, it was finally named after Thomas Hawley Canfield, an officer in the Northern Pacific Railway, which laid out the town. General Custer visited the town in 1876. In 2007, the town started an ad campaign called "Hawley Would" (a homophonic play on words of "Hollywood"). The campaign focuses on both the small-town atmosphere of Hawley and its proximity to the Fargo-Moorhead metropolitan area; Hawley is 22 miles from downtown Fargo. It was written by Renton Reporter on March 10th, 2017 that Walter Meland passed on in Auburn, Washington. Send flowers to share your condolences and honor Walter's life. It was revealed by Arizona Republic on January 21st, 2016 that Arlette Marie Waffensmith (Severson) died in Arizona. Ms. Waffensmith was 74 years old and was born in Hawley, MN. Send flowers to express your sympathy and honor Arlette Marie's life. It was reported on November 22nd, 2015 that Duane K Mickelson passed on in Hawley, Minnesota. Mickelson was 82 years old. Send flowers to express your sympathy and honor Duane K's life. It was revealed on November 20th, 2015 that Irene Jensen died in Buhl, Idaho. Jensen was 95 years old and was born in Hawley, MN. Send flowers to express your sorrow and honor Irene's life. It was written on September 27th, 2015 that Oris M Jetvig died in Hawley, Minnesota. Jetvig was 96 years old. Send flowers to express your sympathy and honor Oris M's life. It was noted on September 27th, 2015 that Donna Johnson (Dauner) passed away in Woffard Heights, California. Ms. Johnson was 84 years old and was born in Hawley, MN. Send flowers to express your sympathy and honor Donna's life. It was revealed on August 30th, 2015 that Evaughn J Hovelsrud passed away in Hawley, Minnesota. Hovelsrud was 77 years old. Send flowers to share your condolences and honor Evaughn J's life. It was revealed by San Diego Union-Tribune on August 16th, 2015 that Helen E Dearmin passed away in Chula Vista, California. Dearmin was 103 years old and was born in Hawley, MN. Send flowers to express your sorrow and honor Helen E's life. It was disclosed by The Forum on July 16th, 2015 that Dennis R Holte passed on in Fargo, North Dakota. Holte was 68 years old and was born in Hawley, MN. Send flowers to express your sympathy and honor Dennis R's life. It was reported on July 11th, 2015 that Paula J Miliander passed on in Hawley, Minnesota. Miliander was 46 years old. Send flowers to share your condolences and honor Paula J's life. The campaign focuses on both the small-town atmosphere of Hawley and its proximity to the Fargo-Moorhead metropolitan area; Hawley is just 22 miles from downtown Fargo, North Dakota|Fargo. The population was 1,882 at the United States Census, 2000 census. The town went through six quick name changes after 1871 until, in 1872, it was finally named after Thomas Hawley Canfield, an officer in the Northern Pacific Railway, which laid out the town. General Custer visited the town in 1876. In 2007 the town started an ad campaign called "Hawley Would" (a homophone wordplay on words of "Hollywood"). 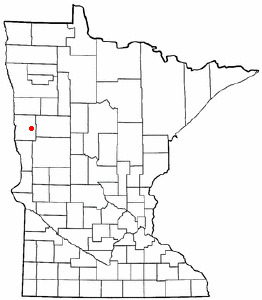 Hawley is a town in Clay County, Minnesota County, Minnesota, United States, along the Buffalo River (Minnesota) River. The official website for the city of Hawley is http://www.hawley.govoffice.com/. Visitation: Monday, November 1, 2010, from 11:00 a.m. - 1:00 p.m., in Wright Funeral Home, Hawley, MN. Funeral: Monday, November 1, 2010, at 1:00 p.m., in Wright Funeral Home, Hawley, MN. Listing all funeral homes in Hawley, Minnesota so you can easily send flowers to any location (same day delivery) or find any funeral service.